On May 26, 1962, Shirley married Paul Kelly and they have been married for almost 52 years. They have two sons: Edward (wife, Laurie) and Kevin (wife, Marianne). They currently have 6 grandchildren and 2 great granddaughters. Shirley was employed with Community Bank, N.A. (formerly Citizens National Bank) for 22 years. She began her career as a teller and then was promoted to Branch Assistant. There are days that you can still find Shirley hanging around Community Bank. Shirley Kelly was elected to serve as the Tax Collector for the Town of Westville on November 5, 2013 and was sworn into office on January 14, 2014. Shirley has been the Receiver of Taxes since January 1, 2001. The Tax Collector is an elected position in the Town of Westville with a term of four years. 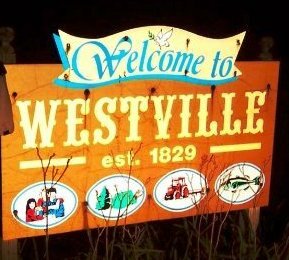 New York State Law charges the Tax Collector with the responsibility to collect all County, Town and Fire District Tax Levies within the Town of Westville. Collect town, county, and fire district taxes. Provide property tax history and information in response to inquiries. Where do I mail my tax bill and what portion of the bill is to be returned? The tax bills are to be mailed to Shirley Kelly, Receiver of Taxes, Town of Westville, 20 Lower Flat Rock Road, Malone, NY 12953. The Town retains the stubs and a paid receipt is returned to property owner. Does the Town Accept Credit Card Payment for Taxes? Town and County Tax Checks Should be Made Payable to Whom? Town of Westville, Shirley Kelly, Tax Collector. Either return the bill to Shirley Kelly with the new owner's name or forward the bill directly to the new owner. Contact Shirley Kelly at the contact information above or contact Franklin County Real Property Office (518-481-1502). There is also a place on the back of your tax bill for a change of address; simply fill it in the information and sign it when you mail or pay your taxes. What If I Didn't Receive My Tax Bill? Do you have an escrow account with your bank? If yes, they receive the bill and you are mailed only a receipt. If your taxes are not paid by your bank through an escrow account, contact Tax Collector. NOTE: Under New York State Real Property Law you are responsible whether you receive it or not. Bring legal document (death certificate, marriage license) during tax time to Shirley Kelly. After the tax season, please bring them to the Franklin County Real Property Office so that the records may be changed. Did I receive my exemption (Veterans, Senior, STAR)? Exemptions will be noted on your bill under "Exemption". What is an Exemption Removal? Term used when the current owner benefits from an exemption that the previous owner received. The new owner may not be entitled to this exemption, with the new "assessment year" the exemption is removed. The exemption removal amount is determined by the Assessor's Office and is a one-time charge for the prior reduction given and not entitled. Contact the Franklin County Treasurer’s Office at (518) 481-1515.